Keen for a career in beauty and wellness? This course is for you. This Diploma program is the highest qualification attainable within the National Beauty Training Package. This means you’ll graduate as a highly trained therapist, with practiced skills and industry experience. 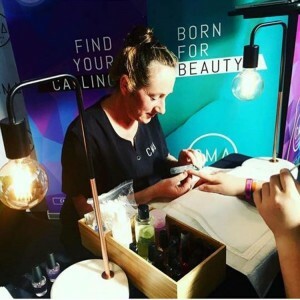 You’ll learn skills in high demand, like hot stone and aromatherapy massage, specialised facials, eyelash extensions, reflexology, spray tanning, intimate waxing and nail art. These skills will give you an edge in the industry, and help you kick-start your beauty career. – Sara Dykgraaf, Diploma of Beauty Therapy graduate. 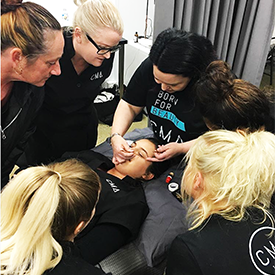 In 2018, CMA joined forces with endota spa to develop the next generation of beauty graduates. 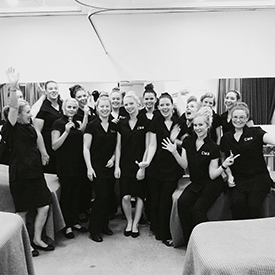 You’ll have the opportunity to apply to join Australia’s largest and most prestigious spa network. endota spa have over 100 spas across Australia and their network is expanding. They offer career paths in beauty therapy, remedial massage and salon management to over 1000 therapists across the country. In 12 months, this could be you. 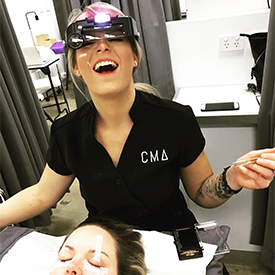 Once you’ve completed your Diploma of Beauty Therapy, you can pursue the many career and further study options available within the network. Want to manage a spa? Become a remedial massage therapist? Own your own spa? It’s all possible with CMA + endota spa. Wondering if you can still work in other spas and salons with endota training? Of course you can! Our program will equip you to work in any spa or salon environment. If beauty is calling your name, we have you covered. – Jessica Robertson, Diploma of Beauty Therapy graduate, and salon owner of Bello Beauty. The SHB50115 Diploma of Beauty Therapy has 25 units of competency. This includes 13 core units and 12 elective units. The course covers manicures and pedicures, nail art, lash and brow services, waxing, facials, massage and body treatments, hot stone massage, aromatherapy, makeup application, eyelash extensions, spray tanning, reflexology, Indian head massage, salon services, industry research and workplace health and safety. Our campuses are located in Canberra and Melbourne. They are fitted with specialised equipment and quality skin care products. The beauty treatment room features massage beds, ceiling-to-floor privacy curtains, manicure stations and a theory area. There are anatomical models, an equipment and product storeroom and adjustable lighting. There are also recreation areas, a retail store and kitchen facilities. 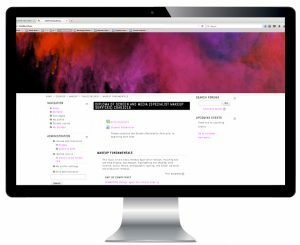 On our online system, you can access all course materials in the one place. This includes workbooks, presentations, demo videos, course notes and inspo sites. You also upload your assessments here, and complete quizzes. This system gives you 24 hour access to everything you need, including ongoing trainer support. Students need to have a tablet or laptop to access CMA’s learning management systems, a mobile phone is not an acceptable device. Study part-time for 2 evenings per week for 18 months, or full-time for 3 days per week for 12 months. In addition, you’ll complete 76 ‘in salon’ hours. Our classes start in February and July. All students, except for those studying in the evening, have a two week break between terms and a Christmas break. Courses are scheduled by term and are scheduled as closely to the ACT school holidays as possible. You can also study beauty therapy by distance. For more information, see Distance Education. – Sandy Winters, Diploma of Beauty Therapy graduate. 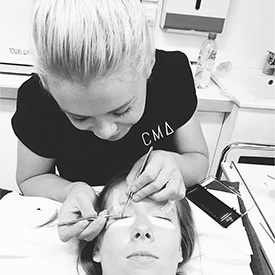 Practice and perfect your skills in the CMA Beauty Room. It’s open to the public, and provides beauty services on a ‘not for profit’ basis. You’ll gain valuable experience treating real clients, while being guided and supervised. It’ll boost your confidence and improve your skills. See the full schedule of tuition fees here. This program is a VET Student Loans approved course. A range of payment options are available. Want more info? Enquire today and we’ll be in touch. Skills First funding is available to eligible Victorian employees of endota spa. 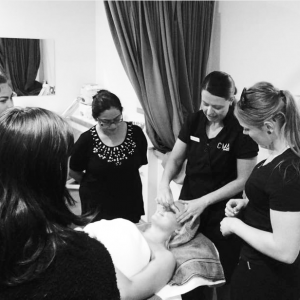 Victorian endota spa employees train in our Melbourne campus and is delivered with Victorian and Commonwealth Government funding. Course fees at CMA include your products, linen, training resources and disposables for use in class time. Resource costs vary from year to year. For July 2019 these costs are: Robe and Headband $43.55, Personal endota COLOUR™ makeup kit $176.80, full components of a therapist uniform $220, manicure and pedicure kit $100.19 and custom endota Wellness College textbooks $240. If you’re keen to start your beautiful new career, click here to apply to enrol in our SHB50115 Diploma of Beauty Therapy program. There are part-time and full-time spots available, starting in July 2018. Still have questions? Make an enquiry and we’ll be in touch. Students will need to demonstrate that they hold a suitable level of language, learning and numeracy skills to complete this course. If you have previous work experience or training, you may be eligible to receive ‘Recognition of Prior Learning’ (RPL). This will allow you to be deemed competent in certain areas, which will exempt you from some assessments. Application for RPL must occur prior to course commencement. Please contact the Student Liaison Manager for more details. As a diploma-qualified beauty therapist, you will have incredible industry opportunities open to you. You could work in beauty salons, day spas, health retreats, hotels, resorts or cruise liners. You may choose a career in sales, marketing and training, or own your own salon. Further education may include completing the Diploma of Remedial Massage or Diploma of Salon Management at CMA. Another pathway is through higher education Health Science degrees. More information about this qualification can be found at http://training.gov.au/Training/Details/SHB50115.